Moral distress is the term increasingly used by health care professionals to name the angst they experience when they feel unable to practice as they should. Jameton1 introduced this concept, distinguishing moral distress from moral dilemmas. In a moral dilemma, a professional must choose between competing potential actions; in moral distress, the professional has decided what the right action is but cannot make it happen owing to internal or external constraints. Such constraints include scarce resources (eg, inadequate staffing, not enough beds), other health care professionals’ influence, family or patient choices, administrative agendas, institutional policies, and legislation. 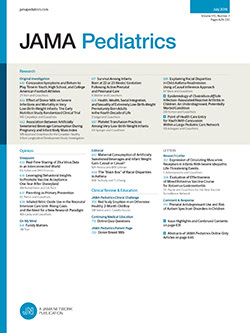 Moral distress can manifest as anger, frustration, shame, or a sense of impotence and may be accompanied by physical reactions.1 Perception, however, is still key to understanding this experience; facing the same circumstances, one health care professional may believe, for example, that extending life-sustaining treatment as a time-trial is the right choice while another professional may find it unacceptable and push for immediate withdrawal of such treatment. Either professional may experience moral distress depending on the course chosen or the degree to which the professional feels complicit in making the “wrong” choice. Undoubtedly, the so-called right thing to do is many times a personal and subjective concept. How can we deal with such a conundrum? The objective of this article is not only to raise awareness of moral distress as an important issue in the pediatric intensive care unit (PICU) but also suggest some strategies to resolve or minimize it.